This is an all sterling silver charm bracelet. 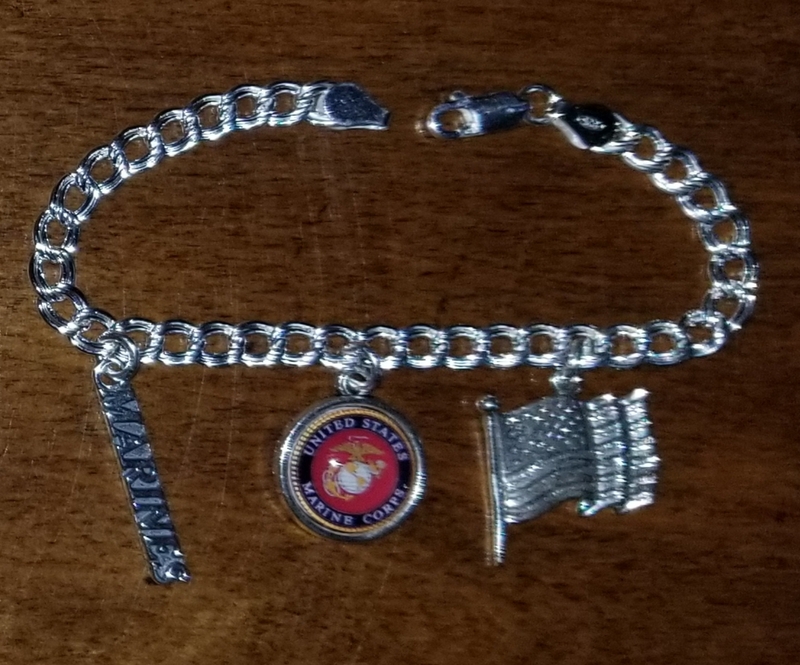 The bracelet is 7" long with a lobster clasp and three charms included. The price includes shipping and $5 of every purchase goes to the MCATA Scholarship Fund. Supplies are limited until we assess demand. After we sell the first two all will be special order. Bracelet can be ordered in longer sizes but at additional cost to be determined. If you have questions contact Carol at Carol@classygems.com.